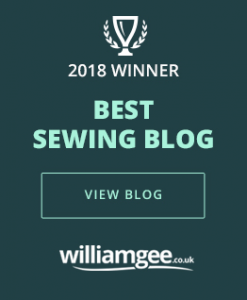 I did a couple of other upcycled denim posts myself a while back – one is an apron made from old jeans and the other is how to patch your jeans. 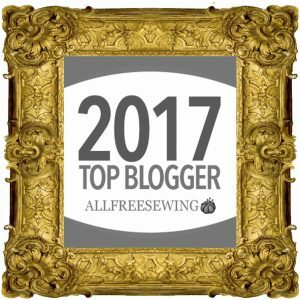 You can also find a tutorial here for sewing with denim should you be starting from scratch and want to achieve that authentic double row of stitching that is so unique to denim. 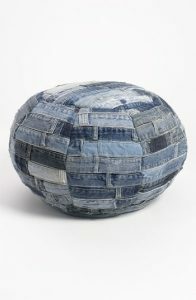 However, my project of the day this time is an upcycled denim bag for my oldest tweenage daughter. I came across this AMAZING (though not necessarily tasteful) scuba fabric in Fabworks Mill Shop a few weeks ago and I have been desperate to find a use for. It’s way out there but, although both my girls loved it, they did decline to wear it from head to foot. So we opted for a bag lining. L ess is more in this case. Here are the basic instructions for how to make a bag like this. You’ll need a pair of old jeans and some sturdy lining fabric. Cut off your old jeans in a straight line just below the crotch. 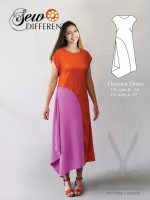 Unpick the front and back centre seam until about 6 inches below the waist band. 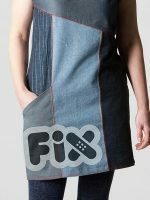 Pin it down and resew the seams flat – the fabric will overlap to achieve this. You are now working with a flat piece of fabric which is much easier! Then use part of one of the left-over legs to create a panel across the front (that become a couple of extra pockets for books.) It also serves the purpose of covering over the unsightly join of the seams. Next you need to create the base of your bag. Lie your jeans flat and measure the waistband. If, for example, it is 30 inches, then you next to measure out a rectangle that has a combined perimeter of 30 inches. What I mean by that is, the length of all four sides of your rectangle need to add up to 30 inches. So, for example, you might go with a depth of 3 inches and a length 12 inches ie 3 + 3 + 12 + 12 = 30. Draw this rectangle out onto one of the legs you have cut off. Cut it out and pin, then sew it in place to form the base of your bag. 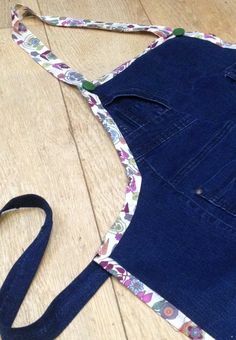 Make up a similar bag shape in your lining fabric, but make sure you leave open a gap in the base so that when you attach it to the denim part you are able to turn it inside out. 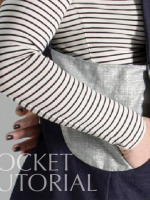 With right sides together, sew your lining to your denim outer. The hole you have left in the lining will allow you to turn it back the right way when you’ve done. The shoulder strap is made out of the remaining leg leftovers. The finishing touches were to add her name and the city picture. I have these cute iron on transfers from Sukie lurking in the back of the drawer. 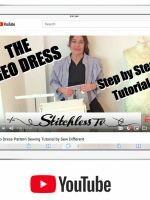 They are really simple to use you just place then on the fabric and iron the back of the paper. 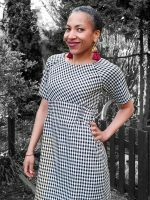 ← Previous Post: The Essential Denim Dress sewing pattern – Summer style!